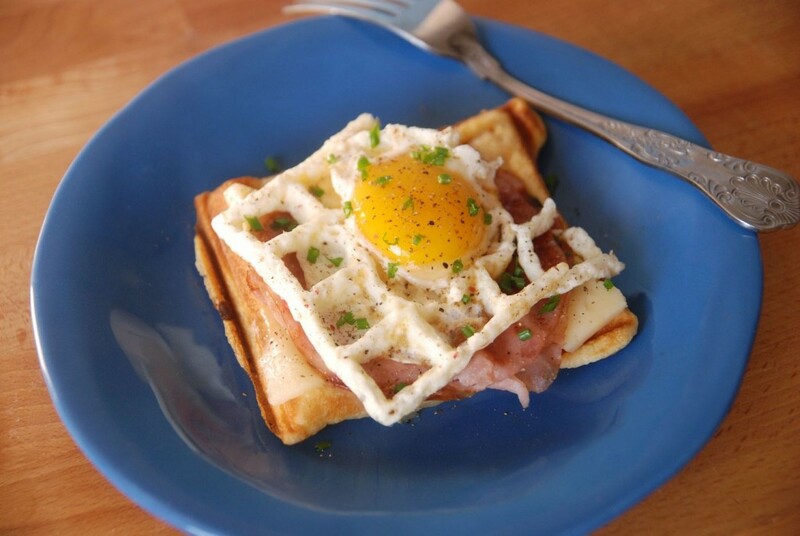 How to confuse your tongue: eggs with waffle texture! 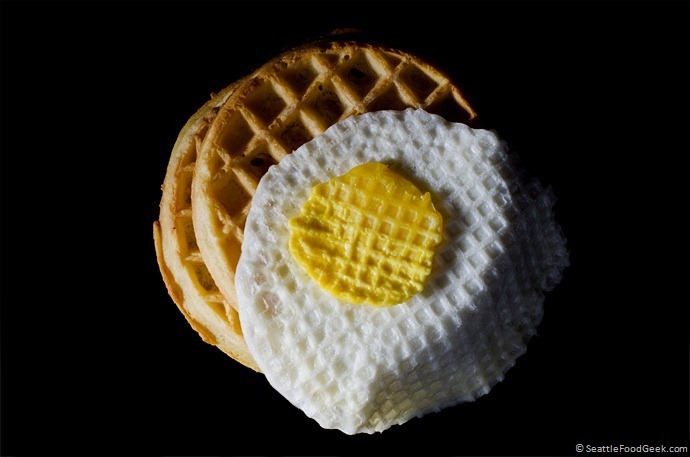 There you have it: waffled eggs! Simple, and quite clever. I'll be trying variants of this with other foods soon. Waffled eggs. Yum yum. If you roll bacon with that it would be the perfect breakfast.